Hook Cleaning Services has been providing quality carpet cleaning in Berkshire for homes and commercial spaces, like hotels and shops, for over 7 years. Over the years the company has evolved to employ more staff, allowing team members to undertake key training that’s lead us to offer unique cleaning services in Berkshire. When it comes to your home, Hook Cleaning Services knows that only the best results will suffice – which is why our staff will work until you are entirely happy with your results and we’ll even re-clean your carpets if you’re not satisfied after our first try! We don’t just offer carpet cleaning in Berkshire, we now offer cleaning services including rug cleaning, natural stone, tile and grout cleaning, carpet after-care protection and upholstery cleaning. We don’t just work inside either. Hook Cleaning Services has professional grade tools for pressure washing and drive way cleaning too. We’ve been taking pride in making Berkshire driveways look presentable for many years now so get in touch to find out how we can restore yours to its former glory! 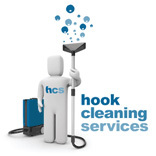 Having worked with businesses for a number of years now, staff at Hook Cleaning Services are aware of the need for a quick, professional service which doesn’t interrupt the day-to-day running of your organisation. That’s why we offer out-of-hours carpet cleaning, with revolutionary quick-dry technology, ensuring that your professional environment is presented in its optimum form. We don’t just offer carpet cleaning at offices and commercial spaces in Berkshire though. We offer office upholstery cleaning, tile and grout cleaning and pressure car park cleaning. Essentially, we offer professional cleaning services to suit your needs – if you see anything that isn’t listed here that we can help with then please give us a call. Following advanced, specialist training and investment in fantastic, top-of-the-range kit – director of Hook Cleaning Services, Tim Colenutt, is the official Berkshire Tile Doctor. This makes Tim your local specialist for any tile and grout care related issues. Give him a call today to find out how his skills can restore your tiles and hard flooring. Does your Berkshire home or business need some TLC? Get in touch to find out more about our Berkshire carpet cleaning services, and to ask us why we’re the Berkshire Tile Doctor.